Is this pen suitable for a man? – Write with us! Is this pen suitable for a man? I like when my female clients come in to select something for men. Perhaps it’s doesn’t feel normal to shop for men in a stationery store. But you’d be surprised how many male clients I actually have. They not only buy for women, but they also have an appreciation for fine paper and pens. And pens seems to be the big interest to women shopping for men. My favorite is when they find something THEY like and then look and me and ask, “is this pen suitable for a man?” What are you expecting me to say? It’s all a matter of appreciation, affordability and taste. I like black pens so why does it seem so far fetched for a man to like a red pen? Actually I’ve sold more colorful pens at TT Patton than black and silver pens. Last year I ran the coolest promotion with THINK pens. The Representative for THINK showed me a photograph she took of THINK pens paired with silk ties. I loved it. So I ‘borrowed’ some of my husband’s ties and displayed them with THINK pens all around the shop. So, when my client today asked me if the pen she selected would be suitable for a man, I said, YES! 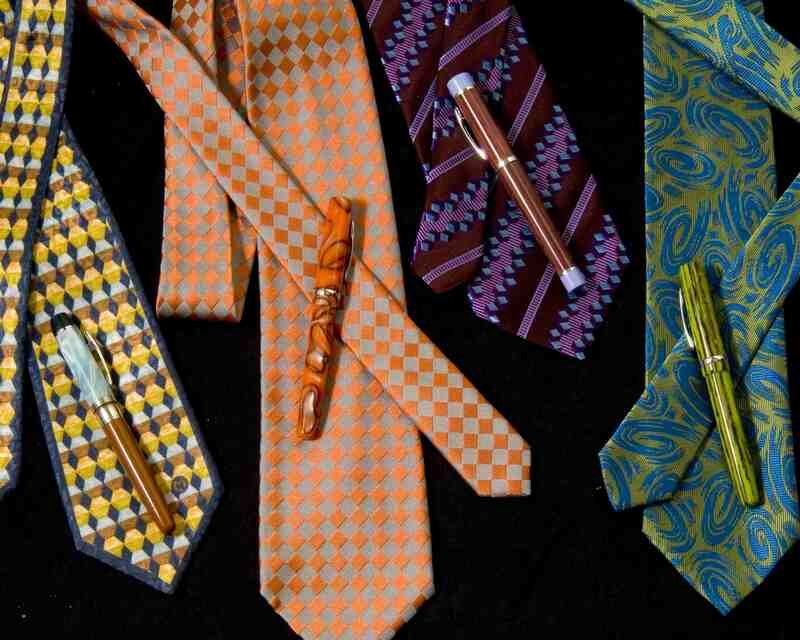 And at $90 a roller ball and $100 a fountain pen, you can get him a couple to match a couple of his ties.